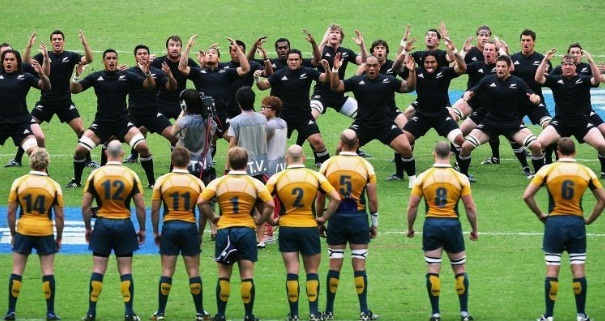 Both the Wallabies and the All Blacks first rugby squads for 2011 were announced this week with a stark contrast between the two. Australia has picked a large squad filled with dynamic and young players while Graham Henry, coach of the All Blacks, has gone with experience and picked a pretty ‘safe’ squad to play in the Tri Nations series starting at the end of July. The Tri Nations played between Australia, New Zealand and South Africa will be a perfect test for these three powerhouses of world rugby and will give the teams a chance to fine tune everything before the Rugby World Cup starting in September. Although it may show who is the strongest among these three teams at the moment, it doesn’t necessarily reflect how well they will do on the big stage over in the “land of the long white cloud”, New Zealand in September. Graham Henry’s All Blacks have a heap of experience but also have a lot of flare with a few exciting newcomers named in the team also. Many of these players were involved in the squads for the 2007 RWC and even the 2003 RWC where they underperformed tremendously, to the misery of the New Zealand fans. They have been through the despair and losses of these campaigns and will be desperate to perform as well as they know they can to make up for this and win back the World Cup in front of their home crowd. Not surprisingly, this All Blacks squad features 6 forwards and 4 backs from the beaten Super 15 finalists, the Crusaders. And I wouldn’t be surprised if Graham Henry had most of them in his preferred starting XV that he has in mind for the opening world cup match versus Tonga on the 9th September. Players such as captain Richie McCaw, Daniel Carter and Brad Thorn have hundreds of All Black games between them and are the backbone of the team and will be instrumental in this years bid to win only their second Rugby World Cup. Just as in the All Blacks case, the Wallabies first squad named for the upcoming Tri Nations series includes a number of players from the winning Queensland Reds team that beat the Crusaders in the Super 15 final, in fact 15 in total. But unlike the All Blacks squad which has a more experienced feel about it, Robbie Deans has gone with the explosive stars of the Reds campaign such as Beau Robinson, James Hanson, Rod Davies and Like Morahan. Along with Melbourne Rebel Nick Phipps and NSW Waratahs members Dave Dennis and Sitaleki Timani, they make up seven uncapped players overall with the All Blacks only naming one. Quade Cooper and Will Genia also from the Reds are likely to feature prominently in this years Wallabies team and why not, after an outstanding Super 15 season, they are perhaps the best combination of halfback and first five in the world. The likes of these two players along with Matt Giteau, Rocky Elsom, Digby Ioane and Adam Ashley Cooper make the Wallabies side a realistic chance of winning the Tri Nations and also performing exceptionally well at the World Cup. The Tri Nations series will be a brilliant stepping stone for both these teams towards their bid for the Webb Ellis Cup, fought between 20 countries in New Zealand this year. However no team to win the Tri Nations in a World Cup year, has gone on to win the major trophy. In fact, this has only been the All Blacks, winning the Tri Nations in ’99, ’03, and ’07 and failing to even make the final in each of the Rugby World Cups those years. Despite being firm favourites before the tournaments and probably having the right teams to do it. I just hope that this year the All Blacks lose the Tri Nations so that they can go on and win the World Cup and show the world, themselves and Australia that they can live up to their no. 1 ranking, and not continue to be tagged a “choker” at world cups.